Available in Chocolate, Chocolate Strawberry, Blue Slushy, Cotton Candy. 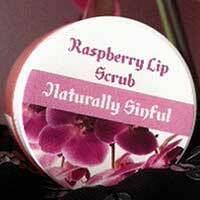 All natural Raspberry Lip Scrub is good enough to eat! 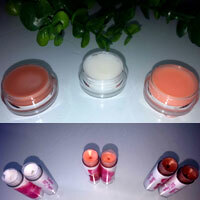 Made with finest ingredients that will leave your lips kissable soft. 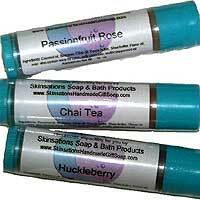 Comforts and maintains your lips with chamomile, Shea butter, Cocoa butter, vitamin E, organic hemp and flax oils, sunflower and soybean oils, premium bees wax, and Stevia. 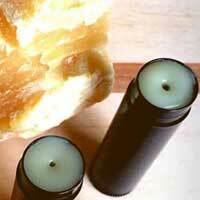 Made with pure Shea butter to protect and moisturize your lips. Long lasting protection against cold, wind and sun. 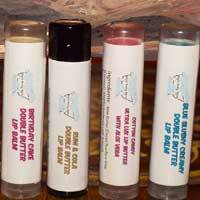 Soothe and moisturize your lips with a double butter balm that smells amazing in a variety of flavors. 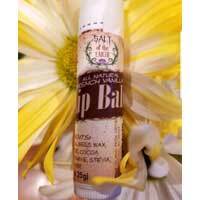 Contains both cocoa and Shea butter for a mega dose of moisture that is also soothing your lips. Perfect combination for vibrant yet natural color with balanced moisture. 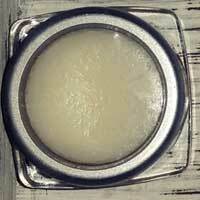 All Natural Lip Balm by Salt of the Earth are guaranteed to leave your lips soft and rejuvenated. 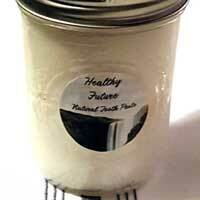 Made with organic bees wax, vitamin E, Cocoa butter, coconut oil, all natural coloring, and stevia. Margarita, Mojito, Pina Colada, Absinthe, and Black Cherry made with 100% pure ingredients.